As your surgeon, I will be a committed partner in your journey, from diagnosis to surgery to a smooth recovery. And if disease management is called for, I will help you navigate your treatment and recovery. It is a tremendous privilege to care for my patients. Dr. Parameswaran and his wife Jennifer live in Anchorage and have a 2 year old son, Taj and are expecting their second in October. When he is not working he likes to take advantage of the mountains and the midnight sun. 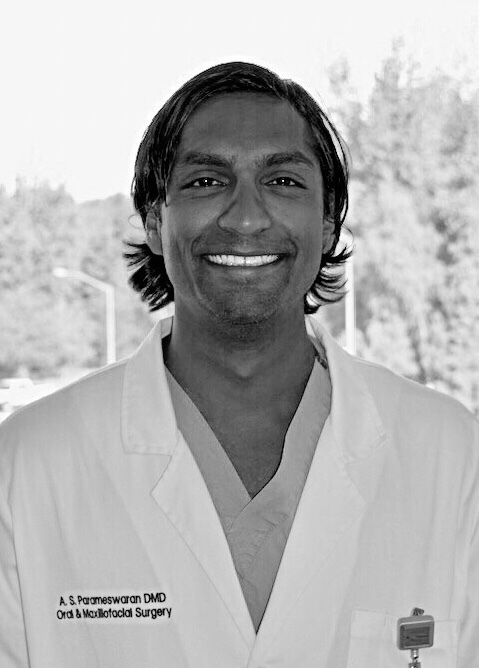 Dr. Parameswaran achieved his Oral and Maxillofacial Surgery training from the Detroit Medical Center. He received his undergraduate and dental degrees at the University of Louisville. Our passionate team, excellent results, and exceptional care are what differentiates us as one of the most sought after dental practices in Anchorage.